Heather Nicholas, founder of 8 National Talent Competition has been developing many new fun and creative ideas to bring into the dance competition world. Heather and her experienced team are excited to bring the dance studios, teachers, dancers, and parents together to all help 8 be the “Dance Competition of Unity”. 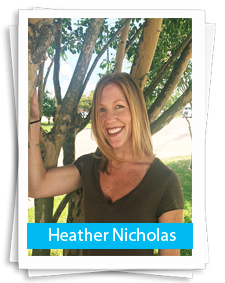 Heather Nicholas grew up dancing at her family owned dance studio in Kingwood, TX. After graduating, Heather became a Kilgore College Rangerette and was a member of their select Jazz Company called Swingsters. She then moved to Los Angeles to continue her training. She danced with some of the most amazing teachers and performed with Blu Sol Dance Company and N2iTDance Company. In addition to dancing, she got the opportunity of doing TV and Commercial work in LA. She moved back home to Houston to take over the studio and met her husband. They have have 5 children and as such, they love children and work with other children every day in addition to their own. They love watching them mold each day into who they are. Heather has been the Co-owner, Dance Director, and Choreographer at Lake Houston Performing Arts Center for 14 years. The 2 locations of LHPAC are in Atascocita and The Woodlands, TX. Heather’s goal is to bring out the most in every one of her students and help them to develop who they are as an artist. The Dance Companies are known for their technique and versatility in style. The Dance Companies have been recognized with many Top Studio accomplishments at competitions, attended the FDC Gala 3 years in a row, and were invited to the one and only Dance World Championships. The focus has always been about the improvement and the confidence in the performers, so the awards achieved made that hard work even more exciting for the hard working dancers! Heather also enjoys teaching master classes and doing choreography for other studios and dance Teams around the world. She is known for her creativity and intricacy in her musicality. Heather has been judging for several of the other professional dance competitions in the industry for 10 years and love seeing the talent in all of the cities. She recently choreographed a music video for a new pop artist and brought 150 dancers together for the event! She loves giving her students and other dancers any and every opportunity available to them. She is excited about offering the dancers opportunities through 8 National Talent Competition that will lead them to many wonderful experiences involving their love for dance!